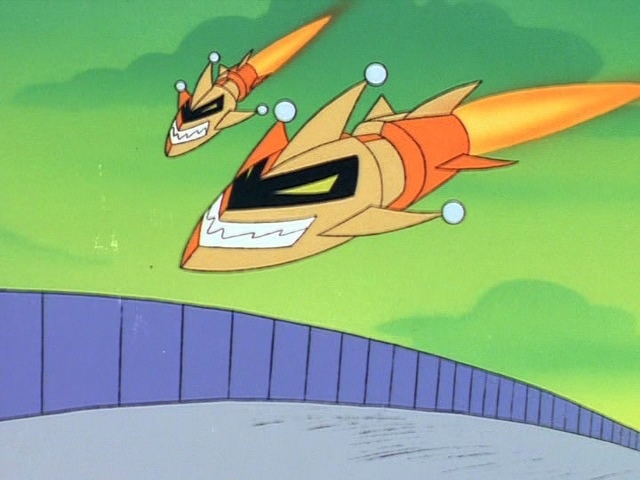 MoreUsing his magical powers Madkat manifested a pair of missiles bearing his name deployed from the Turbokat aimed at Razor. 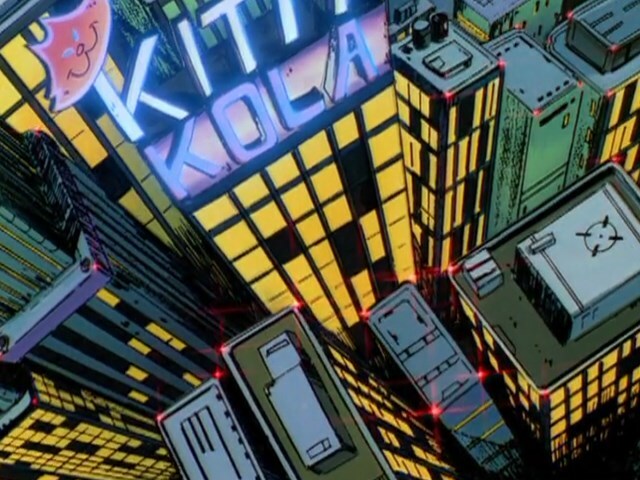 MoreA popular soft drink in Megakat City with neon billboards that add to the illuminated skyline. MoreA subway station in Megakat City. After killing the first bacteria monster in the subway, Razor left the subway through the Katalina entrance, startling several commuters waiting for the train, unaware it’d been eaten. 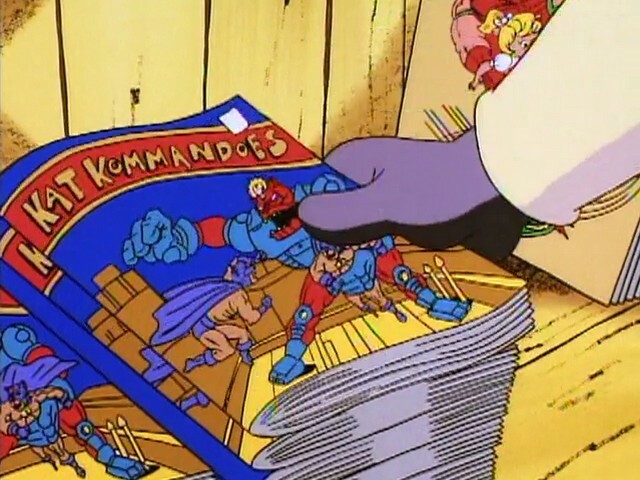 MoreOne of many comic books available at Pop’s Newsstand. Growing up, it was Chance’s favorite as he wanted to someday be a good guy like the Kat Kommando heroes. 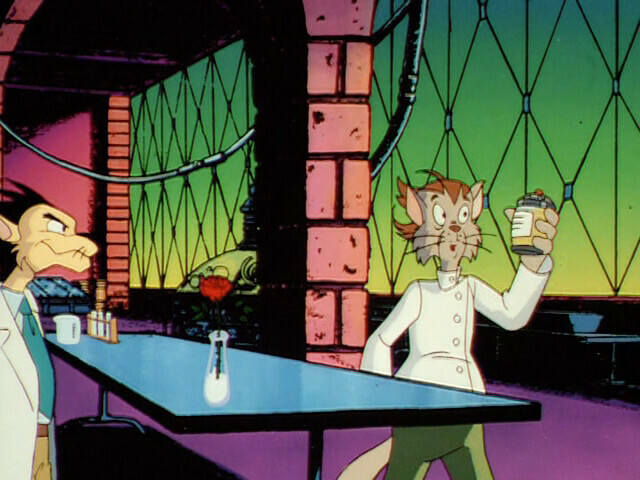 Emil the security guard at Megakat Biochemical also read Kat Kommandoes. 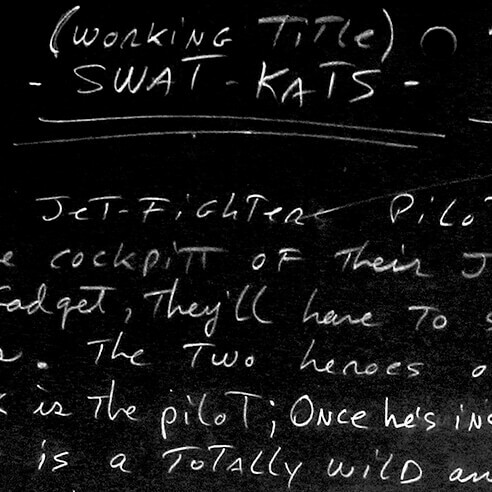 MoreBuilt-in communications device in the SWAT Kats’ flight helmets. 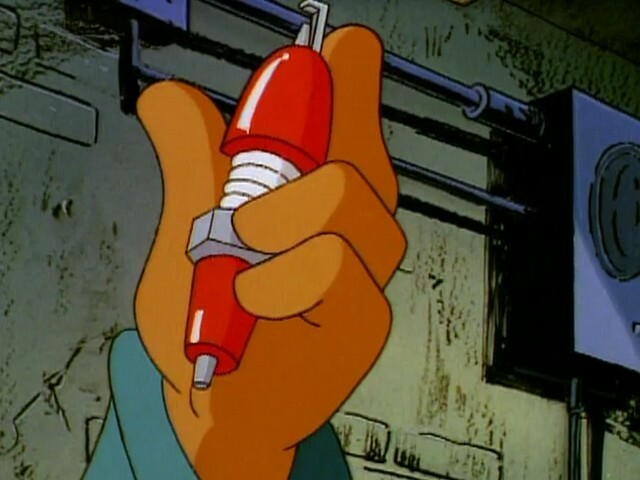 Used by Razor to maintain contact with T-Bone when he infiltrated the plant-infested Megakat Tower to rescue Callie and stop Dr. Viper. 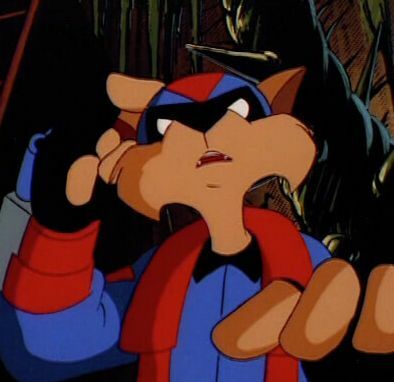 MoreA character in the Scaredy-Kat cartoon. 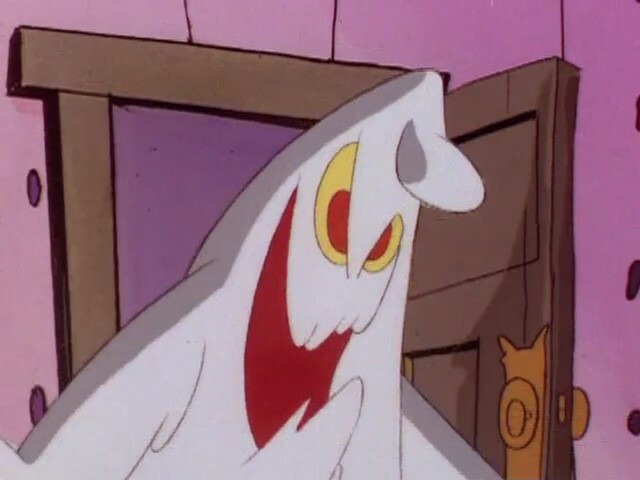 When Scaredy-Kat opens a closet door, the ghost pops out, scaring him. 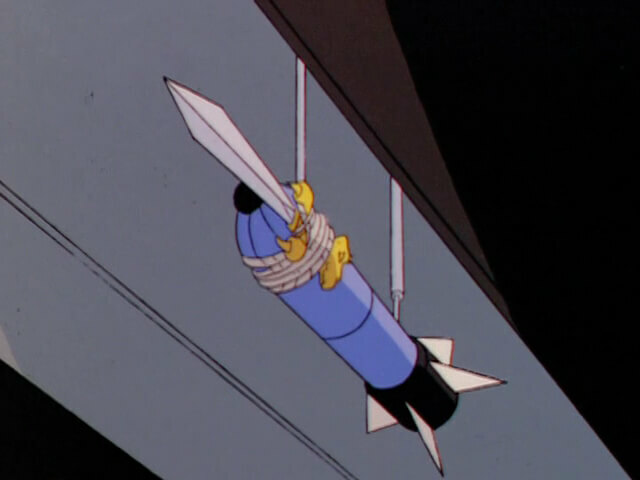 MoreAn ordinary missile with the legendary Dragon Sword tied to it. 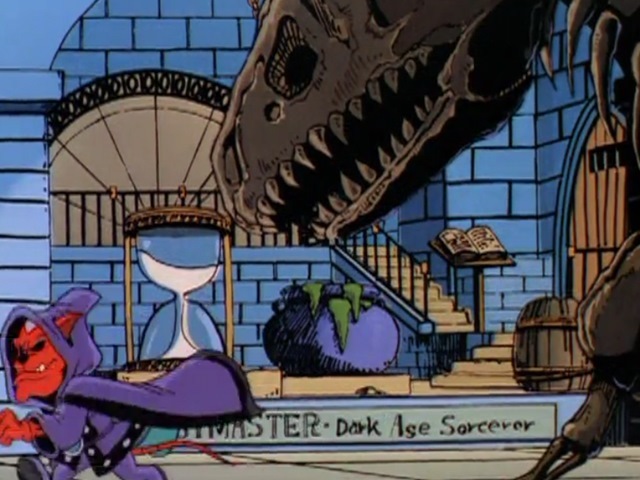 It was used by T-Bone to slay the Pastmaster’s dragon in the Dark Ages. 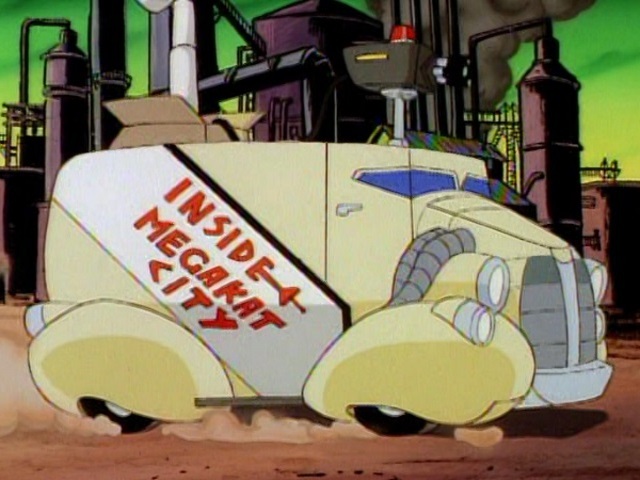 MoreDark Kat’s primary goal was to destroy Megakat City and rebuild it in his image. 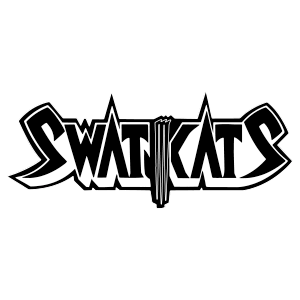 MoreA more high-powered anti-personnel weapon designed to take on tougher opponents, such as the Metallikats, the SWAT Kats’ crossbows launch high explosive missiles capable of sending the robotic duo flying. Not to be confused with the Bow-Zooka, a Glovatrix attachment. MoreA laboratory located in Megakat Biochemical Labs. 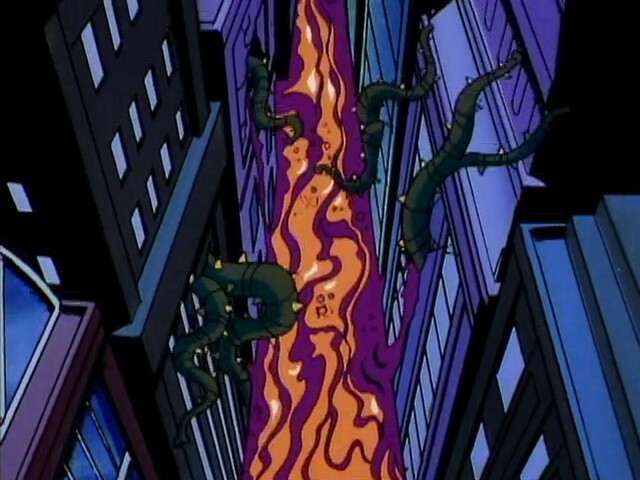 It was used by Dr. N. Zyme and his colleague Dr. Elrod Purvis to create Viper Mutagen 368. 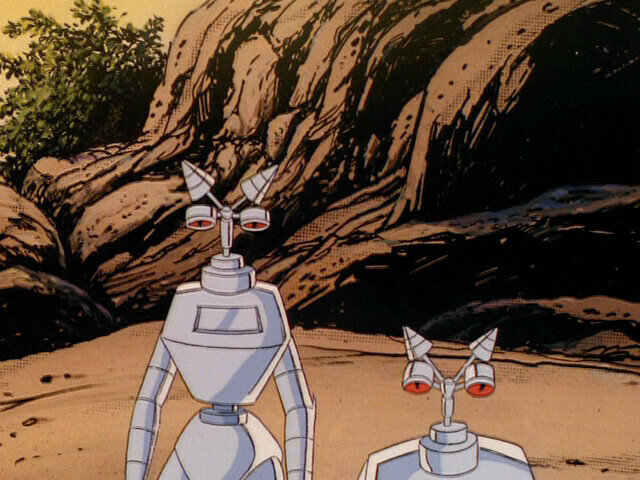 MoreTwo servant robots belonging to Professor Hackle. 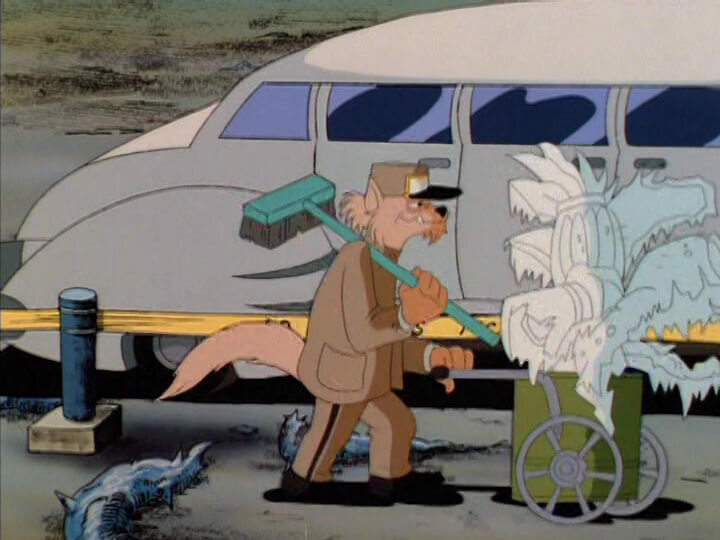 They found the bodies of Mac and Molly Mange washed up on the beach, and Hackle later used the robots’ bodies, with robotic facsimiles of the Manges’ heads, to create the Metallikats. It’s unknown what became of the robots’ original heads. 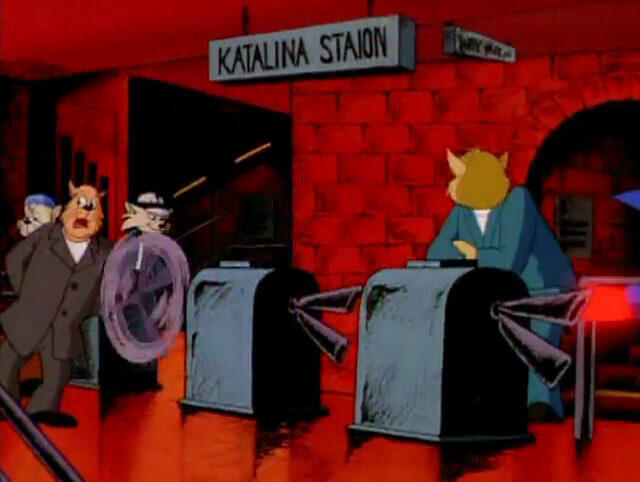 MoreAn exhibit in the museum dedicated to notorious villains throughout Megakat City’s history, including the Pastmaster and Kat the Ripper. MoreA wing in the Megakat City Museum of History dedicated to various ancient manuscripts. 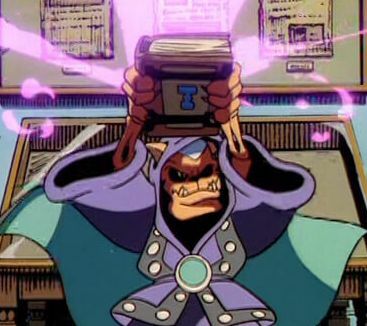 The Tome of Time was kept there until the Pastmaster stole it. MoreA wing in the Museum of History featuring exhibits from eras before recorded history. 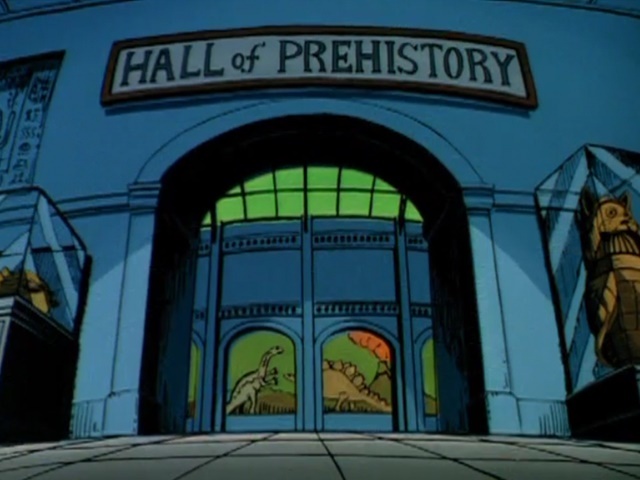 The exhibits included various creature fossils such as dinosaurs and various information from prehistoric times. MoreSpecial sparkplugs installed in the engine of Callie’s car by Chance, against the advice of Jake, who warned him he’d blow the engine. Sure enough, the extra horsepower the turboplugs gave to the car’s engine caused it to explode, necissitating a completely new engine. 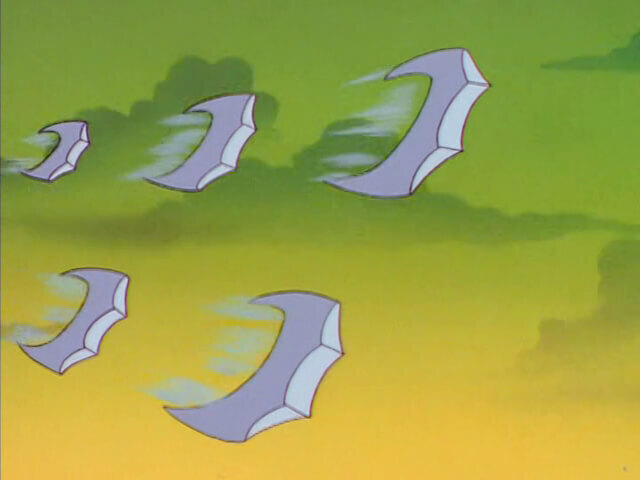 MoreProjectiles fired from the wings of the Turbokat, these unpowered and very sharp blades could sever most non-armored targets. MoreTower from which the Pastmaster dwelled and cast his spells from in the Dark Ages. 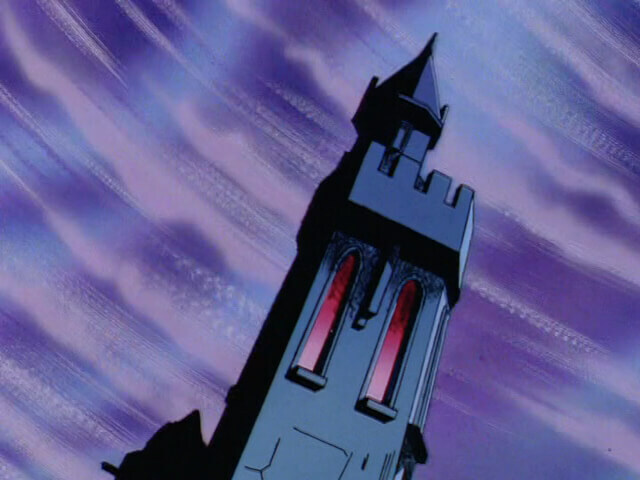 The remains of this tower still remain in a graveyard in modern day Megakat City, near where the Pastmaster was buried centuries prior. 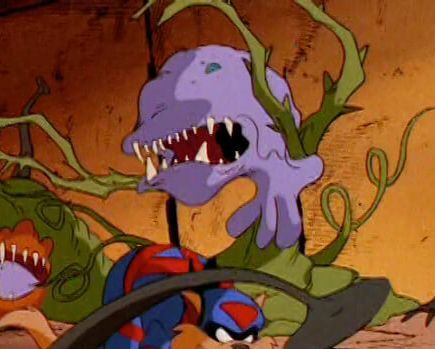 MoreEnormous Plantimals which attacked Razor from the sides as he ran down a hallway in Megakat Tower, pursued by a group of Rovers and Flyers. MoreA worker for the city who helped clean up the frozen carcasses of Dr. Viper’s Plantimals after the first Megakat Tower incident. 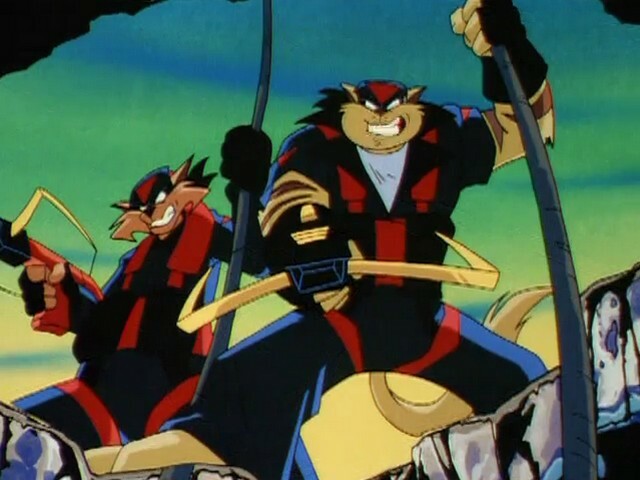 MoreFather of Felina and brother of Commander Feral.